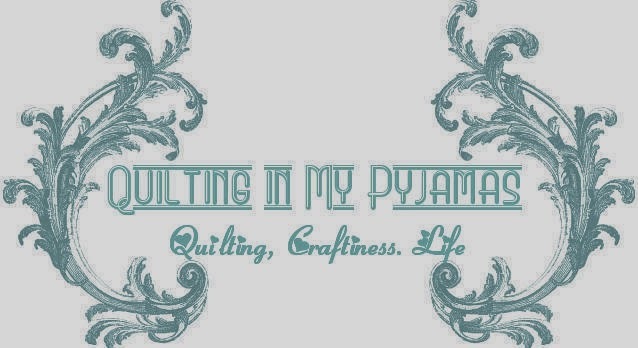 Quilting in My Pyjamas: Bella Parade - My First Ever Tutorial ! I'm sharing a tutorial with you today using Bella Solids that will be perfect for the mini chefs in your life. And best of all, you can knock it up in an afternoon. I found out that writing a tutorial takes way longer than the average blog post if you want it to make any sense. And I'm still not sure I nailed that part. So, if you find a mistake or something isn't clear please email me and I'll do my best to help. I took approximately 293,856 photos for this post and still managed to miss things out. I'm going to be showing you how to make a super simple kids apron using Moda Bella Solids Platinum, Boysenberry, Strawberry and Berrylicious. If you want some more ideas on other fabrics to match up with these colours you can have a look at my post here . I piece of coordinating fabric for the ruffle on the bottom if the apron . I cut mine 4 inches by 40 inches. This apron is sized to fit an average 2- 4 year old child but it would be easily adjustable for an older child. If you're anything like me the first thing you're going to have to do is advise your hapless long suffering husband that you're going to be doing your first ever tutorial today and that you've left it late so you'll be under extra pressure . (I was actually testing to make sure this could be done in an afternoon ) Hapless husband will make himself scarce by manufacturing an errand that requires several hours of shopping somewhere so he doesn't have to see your tears of frustration and hear bad swear words emanating from the sewing room should things go bad. You are ready to begin. I used an existing apron I bought for three bucks to make this pattern but it's easy enough to make your own. I'll give you the measurements below. If you're making your pattern from an existing apron , lay it out on paper and smooth it down. Then trace around it adding a quarter to a half an inch all round for a generous seam allowance. If you're making this without the aid of a paper pattern , you can use the following measurements. Lay your fabrics for the body of the apron out and make sure you like the way they look and then sew the three pieces wrong sides together with a quarter inch seam allowance. Voila! (That's the only French word I know besides baguette - so the rest of this post will be in English only ) You should have a piece of fabric that looks like this. At this point you can add your embellishments if you want. I started adding ric rac like a crazy lady. Sew it down. You want to get it as close to the centre as possible all the way along. Then lay your paper pattern down on top of your fabric and cut round the paper pattern template. You can pin it if you want. I don't, because I like to live dangerously. I use my plastic ruler and rotary cutter to cut the straight edges and then free hand the curves. Take the piece you cut for your ruffle and fold one long edge over 1/4 of an inch all the way along the length and press it down with an iron . Then fold it over again and press so you have a nice edge. This is going to be the hem of your apron. Then sew as close to the edge as you can on the wrong side. If you're one of the lucky people and have a gathering foot now would be the time to put that on your machine. For the rest of us, set your machine to the largest stitch you have and sew all the wall down the other long side of the piece you just hemmed, making sure you leave a decent size tail with your thread at either end. At this point I noticed my tension was completely out of whack but for this step it doesn't really matter. Tie off one end where you just did the big stitching. A knot works well and then take the other end and gently pull it to gather the fabric. Keep gathering until it measures about 20 inches. Tie off the end in a secure knot. Then pin your ruffle to the bottom of the apron as shown in the following picture. When it comes to ruffles I am a classic over pinner !. I double sew this line for extra strength. You can overlock the edges of the ruffle if you wish . It gives a cleaner finish. Turn it over so you can see the front. Press the front so it lays flat. It'll help with the next step. Top sew just above where the ruffle meets the fabric. This will anchor the ruffle in place, and make the seam sit nice and flat on the back. Now I;d suggest you use a tiny overlocking stitch to go all the way round the raw edges of your apron. Starting at the top side of the apron fold the edges in about 1/4 of an inch on both sides and press. Take your ties and neck pieces and fold them in half lengthways wrong sides together and press them (so you end up having 3 pieces measuring 20 inches by 1.75 inches) Sew two of these shut along one end and all the way up the long side and sew the other one up the long side only. Turn them right side out of press flat. The two with one open end will become your ties and the one that has both ends open is going to be what serves as the neck tie. Take your neck tie pieces and your elastic and thread the elastic through from one end to the other . I use pins to keep it from disappearing inside the tube . Then sew straight across each end a few times making sure you catch the elastic to hold it in place. Cut away any excess on the end. This is where things can get a little bit tricky because I'm sure I break all the rules when it comes to sewing. I'm about to show you how I attach the ties the "Shay" way. Then flip the tie back on itself over the top of the seam like in the picture below. Then we're going to do the same thing with the neck tie. Clip your stray threads and stand back to admire your awesomeness! If you're stopping by from Bella Parade at 13 Woodhouse Road- Welcome. Pull up a chair and have a snoop around while you're here! I want to say that until I wrote this tutorial (which took at least twice as long as it did to actually make the apron) I took pattern and tutorial writers completely for granted. So thank you to all the people out there who willingly share their talent and expertise with the rest of us. Especially those who do it for free. You have my never ending admiration and thanks. still giggling - fabulous tute - i didn't make the apron but i'm sure it would turn out exectly as you explained - crazy lady ric rac and all!! I love it - so pretty! The rainbow rick rack and ruffle are super cute, and the elastic neck piece is inspired! I have one question, and that is, on your newspaper patter, what is the longest length (if you were measuring down the center of the pattern along the newspaper fold, for instance) from the top to the hem? No obvious problems jumping out at me when I read it. I like the elasticated neck as a mother who was forever tying and re-tying the bits around the neck on the mini aprons we did have. Well done you. I hope there was a glass of wine or baked sweet for relief during this marathon of tutorial writing--excellent job! I love the rick rack and the elastic around the neck, and the colors of Bella solids. Look at you, all grown up and writing tutorials! Good for you! You're amazing, but have I said that before? Good Job Shay! I love the apron, the tut and the rick rack! You made it fun, too! Most tut writers don't keep me reading. Tutorials not not not easy to write. You have done a great job! What a fun apron and a great tutorial. I wrote a tutorial once and I too realised how much work goes into writing one. You're a natural!! HELLO! THIS IS A SPECIAL TUTORIAL+i FOR ONE WILL SAVE IT! THANKS SO MUCH FOR ALL YOUR WORK PUTTING IT TOGETHER FOR US! Fantastic tutorial Shay, even I could do that and it is such a cute apron....think I will have to make one for my neice :-) Where did you get the rainbow ricrac? I usually crochet mine but thats a lot of ricrac on your apron and rainbows are so cute! This is kind of just how I expected a tutorial of yours to read. In other words, awesome AND hilarious. Good job! Love the tutorial! Great job. Youve done well Shay, these are great - my kids would love them! Super cute - wonder when there will be a little budding cook to make one for? Gold star material - Thanks. Good for you! By the way it made total sense when I was reading it, but will have to wait for school hols before I get a chance to try it out. So very cute tute! I can see the new chef spreading flour, I mean joy in the kitchen! Too cute! I love the elastic neck strap. Makes so much sense for young ones. I love aprons, and this one is gorgeous! I m adding this to my list of want to do soon projects! Great tute. Thanks for sharing. Love the way it came out. I especially like the way you did the neck ties...with elastic instead of ties. Very nice. That is SO cute! I love the colors and the pretty rick-rack and the adorable elastic neck band and the adorable ruffle! Beautifully done and very well written! P.S. I've been living under a rock for the last two weeks. I'm sorry it took me so long to read and comment. I flipped through the pictures when you posted and thought it was so cute. You did a great job with the tutorial!